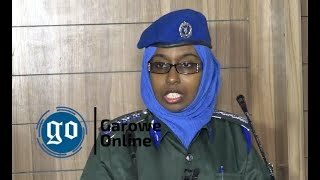 DHAHAR, Somalia Sept 30, 2014 (Garowe Online)-Puntland Government in northern Somalia has dispatched Puntland Defence Force (PDF) units to Sanaag region town of Dhahar amidst escalation of armed tensions, Garowe Online reports. 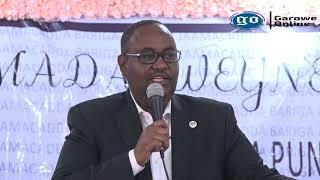 Speaking to the media via telephone on Tuesday, Puntland’s Deputy Minister of Justice Mohamed Farah Canjeh has confirmed the arrival of army units in Dahar. 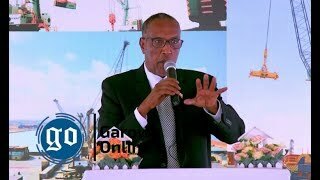 “Puntland Defence Forces are on temporary military movement and they will return to their original positions very soon,” said Canjeh. According to independent sources in Dhahar, the move emerged after Somaliland beefed up troop’s presence in some parts of Sanaag region. Puntland cabinet ministers and parliamentarians are still on visit to Dhahar following the election of new mayor by councilors last week. 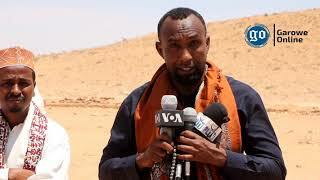 Clan militia loyal to Somaliland’s separatist administration clashed with Puntland soldiers in Dhahar five days ago. At least one person has been confirmed dead while two fighters sustained injuries. 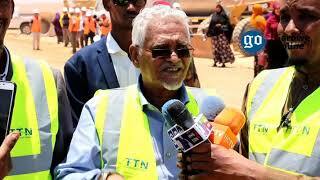 Puntland and Somaliland, both located in northern Somalia has long vied for full control of Sool and Sanaag regions. Unlike Puntland, the state’s neighbor to the west declared its dependence from the rest of the country as a de facto sovereign state in 1991 but it has not been recognized internationally yet.